This book*, originally published in 1984, is a regular reference for authors writing about complex socio-technical systems. ** Perrow's model for classifying such systems is intuitively appealing; it appears to reflect the reality of complexity without forcing the reader to digest a deliberately abstruse academic construct. We will briefly describe the model then spend most of our space discussing our problems with Perrow's inferences and assertions, focusing on nuclear power. The model is a 2x2 matrix with axes of coupling and interactions. Not surprisingly, it is called the Interaction/Coupling (IC) chart. Why has his prediction of such serious accidents not come to pass, at least in the U.S.? There is no question that the U.S. nuclear industry grew quickly, with upsized plants and utilities specifying custom design combinations (in other words, limited standardization). The utilities were focused on meeting significant load growth forecasts and saw nuclear baseload capacity as an efficient way to produce electric power. However, actually operating a large nuclear plant was probably more complex than the utilities realized. But not any more. Learning curve effects, more detailed procedures and improved analytic methods are a few of the factors that led to a greater knowledge basis for plant decision making. The serious operational issues at the “problem plants” (circa 1997) forced operators to confront the reality that identifying and permanently resolving plant problems was necessary for survival. This era also saw the beginning of industry consolidation, with major operators applying best methods throughout their fleets. All of these changes have led to our view that nuclear plants are certainly complicated but no longer complex and haven't been for some time. But other significant industry events have not arisen from interactions deep within the system; they have come from negligence, hubris, incompetence or selective ignorance. For example, Fukushima was overwhelmed by a tsunami that was known to be possible but was ignored by the owners. At Davis-Besse, personnel ignored increasingly stronger signals of a nascent problem but managers argued that in-depth investigation could wait until the next outage (production trumps safety) and the NRC agreed (with no solid justification). Perrow has some recognition of what a system is and how threats can arise within it: “. . . it is the way the parts fit together, interact, that is important. The dangerous accidents lie in the system, not in the components.” (p. 351) However, he is/was focused on interactions and couplings as they currently exist. But a socio-technical system is constantly changing (evolving, learning) in response to internal and external stimuli. Internal stimuli include management decisions and the reactions to performance feedback signals; external stimuli include environmental demands, constraints, threats and opportunities. Complacency and normalization of deviance can seep in but systems can also bolster their defenses and become more robust and resilient. **** It would be a stretch to say that nuclear power has always learned from its mistakes (especially if they occur at someone else's plant) but steps have been taken to make operations less complex. My own bias is Perrow doesn't really appreciate the technical side of a socio-technical system. He recounts incidents in great detail, but not at great depth and is often recounting the work of others. Although he claims the book is about technology (the socio side, aka culture, is never mentioned), the fact remains that he is not an engineer or physicist; he is a sociologist. Notwithstanding all my carping, this is a significant book. 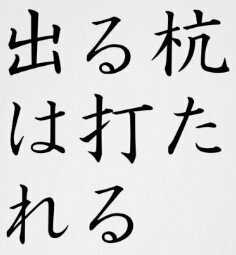 It is highly readable. Perrow's discussion of accidents, incidents and issues in various contexts, including petrochemical plants, air transport, marine shipping and space exploration, is fascinating reading. His interaction/coupling chart is a useful mental model to help grasp relative system complexity although one must be careful about over-inferring from such a simple representation. There are some useful suggestions, e.g., establishing an anonymous reporting system, similar to the one used in the air transport industry, for nuclear near-misses. (p. 169) There is a good discussion of decentralization vs centralization in nuclear plant organizations. (pp. 334-5) But he says that neither is best all the time, which he considers a contradiction. The possibility of contingency management, i.e., using a decentralized approach for normal times and tightening up during challenging conditions, is regarded as infeasible. Ultimately, he includes nuclear power with “systems that are hopeless and should be abandoned because the inevitable risks outweigh any reasonable benefits . . .” (p. 304)***** As further support for this conclusion, he reviews three different ways of evaluating the world: absolute, bounded and social rationality. Absolute rationality is the province of experts; bounded rationality recognizes resource and cognitive limitations in the search for solutions. But Perrow favors social rationality (which we might unkindly call crowdsourced opinions) because it is the most democratic and, not coincidentally, he can cite a study that shows an industry's “dread risk” is highly correlated with its position on the I/C chart. (p. 326) In other words, if lots of people are fearful of nuclear power, no matter how unreasonable those fears are, that is further evidence to shut it down. The 1999 edition of Normal Accidents has an Afterword that updates the original version. Perrow continues to condemn nuclear power but without much new data. Much of his disapprobation is directed at the petrochemical industry. He highlights writers who have advanced his ideas and also presents his (dis)agreements with high reliability theory and Vaughn's interpretation of the Challenger accident. You don't need this book in your library but you do need to be aware that it is a foundation stone for the work of many other authors. 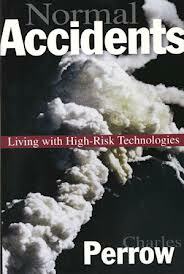 * C. Perrow, Normal Accidents: Living with High-Risk Technologies (Princeton Univ. Press, Princeton, NJ: 1999). ** For example, see Erik Hollnagel, The ETTO Principle: Efficiency-Thoroughness Trade-Off (reviewed here); Woods, Dekker et al, Behind Human Error (reviewed here); and Weick and Sutcliffe, Managing the Unexpected: Resilient Performance in an Age of Uncertainty (reviewed here). It's ironic that Perrow set out to write a readable book without references to the “sacred texts” (p. 11) but it appears Normal Accidents has become one. *** Perrow's criteria for catastrophe appear to be: “kill many people, irradiate others, and poison some acres of land.” (p. 348) While any death is a tragedy, reputable Chernobyl studies report fewer than 100 deaths from radiation and project 4,000 radiation-induced cancers in a population of 600,000 people who were exposed. The same population is expected to suffer 100,000 cancer deaths from all other causes. Approximately 40,000 square miles of land was significantly contaminated. Data from Chernobyl Forum, "Chernobyl's Legacy: Health, Environmental and Socio-Economic Impacts" 2nd rev. ed. Retrieved Aug. 27, 2013. Wikipedia, “Chernobyl disaster.” Retrieved Aug. 27, 2013. In his 1999 Afterword to Normal Accidents, Perrow mentions Chernobyl in passing and his comments suggest he does not consider it a catastrophe but could have been had the wind blown the radioactive materials over the city of Kiev. **** A truly complex system can drift into failure (Dekker) or experience incidents from performance excursions outside the safety boundaries (Hollnagel). We recently saw an article* about organizational bystander behavior. Organizational bystanders are people who sense or believe that something is wrong—a risk is increasing or a hazard is becoming manifest—but they don't force their organization to confront the issue or they only halfheartedly pursue it. ** This is a significant problem in high-hazard activities; it seems that after a serious incident occurs, there is always someone, or even several someones, who knew the incident's causes existed but didn't say anything. Why don't these people speak up? The authors describe psychological and organizational factors that encourage bystander behavior. Psychological factors are rooted in uncertainty, observing the failure of others to act and the expectation that expert or formal authorities will address the problem. Fear is a big factor: fear of being wrong, fear of being chastised for thinking above one's position or outside one's field of authority, fear of being rejected by the work group even if one's concerns are ultimately shown to be correct or fear of being considered disloyal; in brief, fear of the dominant culture. Organizational factors include the processes and constraints the organization uses to filter information and make decisions. Such factors include limiting acceptable information to that which comports with the organization's basic assumptions, and rigid hierarchical and role structures—all components of the organization's culture. Other organizational factors, e.g., resource constraints and external forces, apply pressure on the culture. In one type of worst case, “imposing nonnegotiable performance objectives combined with severe sanctions for failure encourages the violation of rules, reporting distortions, and dangerous, sometimes illegal short-cuts.” (p. 52) Remember Massey Energy and the Upper Big Branch mine disaster? The authors provide a list of possible actions to mitigate the likelihood of bystander behavior. Below we recast some of these actions as desirable organizational (or cultural) attributes. Performance reviews, self-criticism, and a focus on learning at all levels are required. This paper presents a useful discussion of the interface between the individual and the organization under problematic conditions, viz., when the individual sees something that may be at odds with the prevailing world view. It's important to realize that even if the organizational factors are under control, many people will still be reluctant to rock the boat, lo the risk they see is to the boat itself. The authors correctly emphasize the important role of leadership in developing the desirable organizational attributes, however, as we have argued elsewhere, leadership can influence, but not unilaterally specify, organizational culture. We would like to see more discussion of systemic processes. For example, the impact of possible negative feedback on the individual is described but positive feedback, such as through the compensation, recognition and reward systems, is not discussed. Organizational learning (adaptation) is mentioned but not well developed. The article mentions the importance of independent watchdogs. We note that in the nuclear industry, the regulator plays an important role in encouraging bystanders to get involved and protecting them if they do. The article concludes with a section on the desirable contributions of the human resources (HR) department. It is, quite frankly, unrealistic (it overstates the role and authority of HR in nuclear organizations I have seen) but was probably necessary to get the article published in an HR journal. * M.S. Gerstein and R.B. Shaw, “Organizational Bystanders,” People and Strategy 31, no. 1 (2008), pp. 47-54. Thanks to Madalina Tronea for publicizing this article on the LinkedIn Nuclear Safety group. Dr. Tronea is the group's founder/manager. ** This is a bit different from the classic bystander effect which refers to a situation where the more people present when help is needed, the less likely any one of them is to provide the help, each one expecting others to provide assistance. 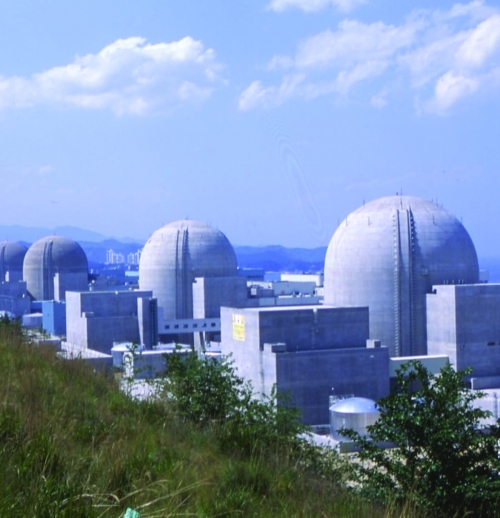 As you know, over the past year trouble has been brewing in the South Korean nuclear industry. A recent New York Times article* provides a good current status report. The most visible problem is the falsification of test documents for nuclear plant parts. Executives have been fired, employees of both a testing company and the state-owned entity that inspects parts and validates their safety certificates have been indicted. It should be no surprise that the underlying causes are rooted in the industry structure and culture. 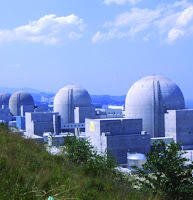 South Korea has only one nuclear utility, state-owned Korea Electric Power Corporation (Kepco). Kepco retirees go to work for parts suppliers or invest in them. Cultural attributes include valuing personal ties over regulations, and school and hometown connections. Bribery is used as a lubricating agent. Couldn't happen here, right? I hope not, but the U.S. nuclear industry, while not as closed a system as its Korean counterpart, is hardly an open community. The “unique and special” mantra promotes insular thinking and encourages insiders to view outsiders with suspicion. The secret practices of the industry's self-regulator do not inspire public confidence. A familiar cast of NEI/INPO participants at NRC stakeholder meetings fuels concern over the degree to which the NRC has been captured by industry. Utility business decisions that ultimately killed plants (CR3, Kewaunee, San Onofre) appear to have been made in conference rooms isolated from any informed awareness of worst-case technical/commercial consequences. Our industry has many positive attributes but some others ask us to stop and reflect. * C. Sang-Hun, “Scandal in South Korea Over Nuclear Revelations,” New York Times (Aug. 3, 2013). Retrieved Aug. 6, 2013.